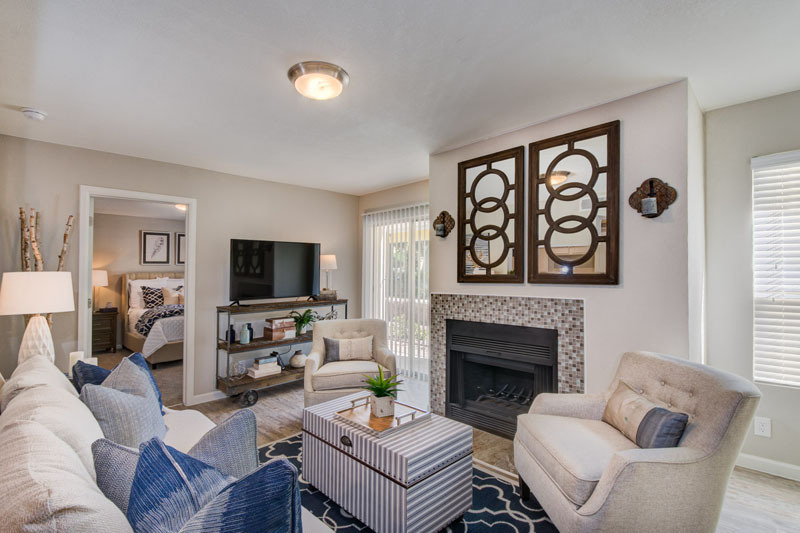 With seven floor plans ranging from 530 to 1,181 square feet you are sure to find a home to fit your needs. 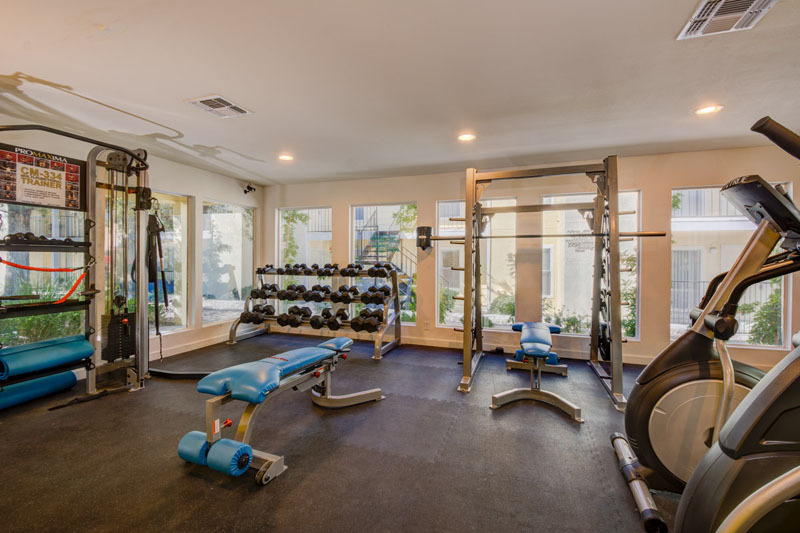 Our gym features free weights, cable machines, benches and racks, ellipticals, and a treadmill. Sit by our relaxing pool shaded by pine trees or let the little ones burn up some energy at our playground. 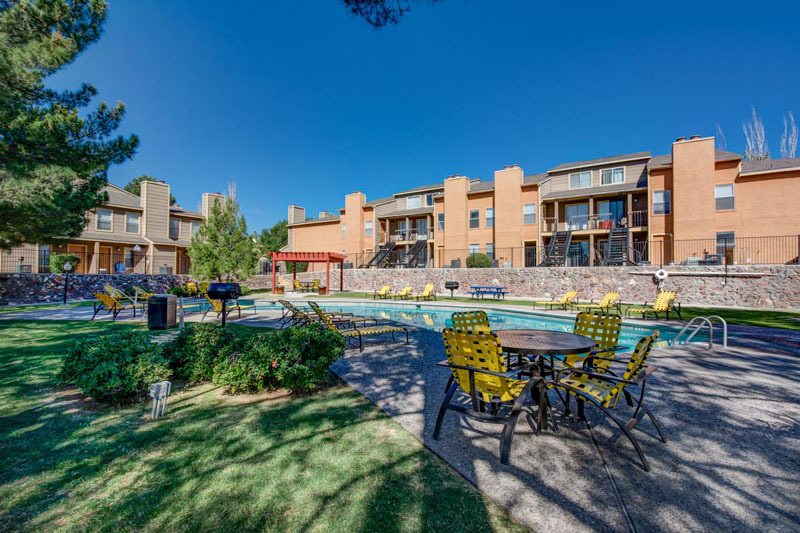 Our El Paso, Texas apartments offer the convenience of a great location, with the comfort of great amenities. Indian Springs is located close to I-10, giving you access to downtown El Paso in around twenty minutes. We are just miles from great shopping and dining at Sunland Park Mall. Also enjoy the beautiful golf course close by at Coronado Country Club. Indian Springs is a part of the Polk Elementary, Hornado Middle School, Franklin High School District. Our pet friendly community has a dog park, which is perfect for entertaining your pup. At the heart of our beautifully landscaped community lies our swimming pool and lounge area. If you’re looking to get your heart rate going, enjoy the convenience of our on-site fitness center. At Indian Springs, all apartments come with in-unit washers and dryers. Along with our easy online payments you have access to 24 hour on call maintenance staff. To make Indian Springs your future home, contact us today.